Choosing SecuriWORLD Security Services gives you the freedom you need to move forward. When you are truly protected, you gain the ability to maximize your time, energy and resources towards your goals. 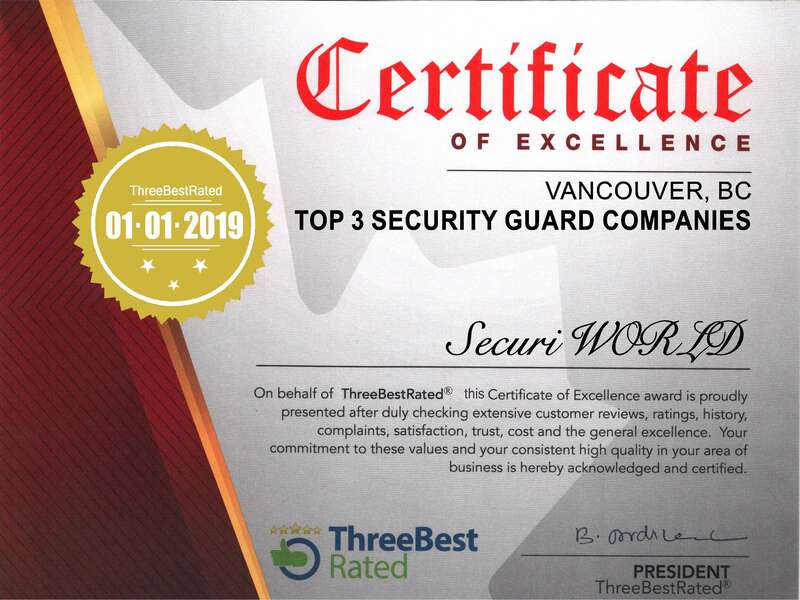 The superior quality of our Security Guards, Mobile Security, Alarm Response and other Specialized Security Solutions have earned us our solid place on top of the Vancouver Security market. At SecuriWORLD, we not only make you “feel safe”, we guarantee you a renewed state of being protected. That is why SecuriWORLD is the solution for progressive organizations who are ready to move forward. By partnering with SecuriWORLD Security, you will finally be free to focus your time on what really matters to you.